A pioneering fusion of virtual and augmented reality that smashes VR’s barriers to entry. 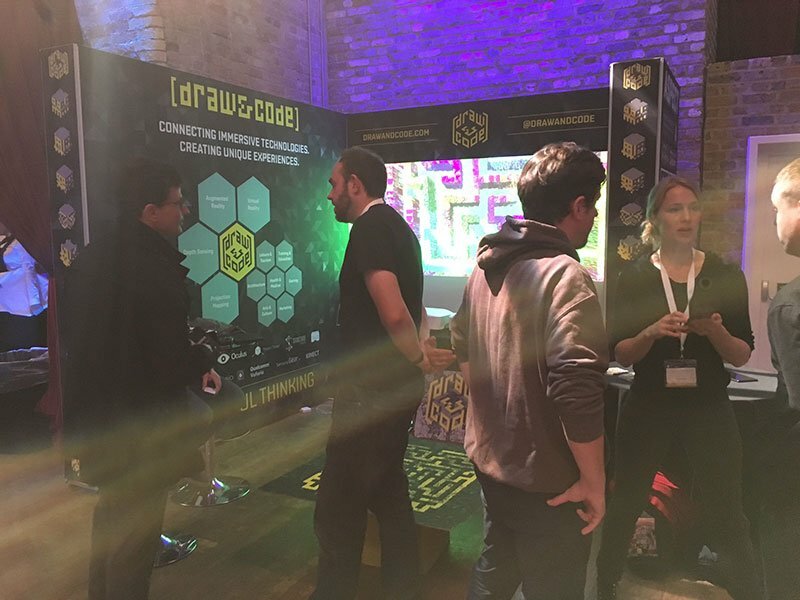 The Draw & Code team were frustrated by the solitary nature of a typical virtual reality experience. We envisioned a platform that would allow users to see and interact with each other inside the virtual world. 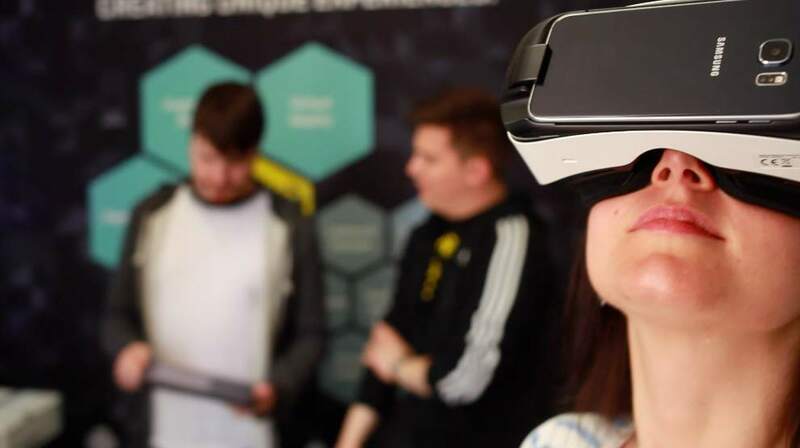 We were not alone in our frustrations with the limitations of virtual reality with industry giants Nintendo stating that they will not be joining the rush to build headsets as they believed that the nature of the experience was too solitary and not social enough. Microsoft also identified similar short-comings in this sector, opting for a radically different development path for their Hololens headset to try to address these issues. Another limitation we identified is that 3D experiences such as video games are typically used within one ecosystem. A fundamental part of the success of the web and social networks is that users can interact with each other regardless of whether they have a PC, a Mac, an Android tablet or an Apple phone. What we wanted was a way to open up 3D experiences to almost any device, allowing for unprecedented ease of use and interaction. Our solution is Companion – a tool that enables developers to sync up multiple devices into one 3D world. In the prototype we have run several devices simultaneously, ranging from the latest Samsung Gear VR headset to our trusty laptops. This also presents the possibility of moving the virtual reality experience to outside of the headset. While one person inhabits the first-person virtual reality view, we have other users interacting from a third-person augmented reality perspective. Each user can see an avatar representing the other, creating a truly engaging and social experience that encourages collaboration in the 3D world or even vocally between users. A gaming application utilising Companion was developed in-house by Draw & Code and exhibited to industry peers in Silicon Valley, London and Liverpool. It uses a quickly understood gaming mechanic to enable the user to dive straight in and enjoy it – in this case it’s Pac Man with an element of the Crystal Maze thrown in too! The innovative application and the philosophy of accessibility that inspired it has been a real hit. The next stage is to find industry specific applications of the IP generated by Companion.